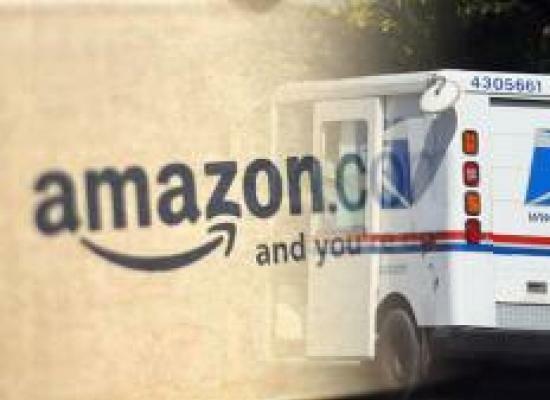 (Chuck Muth) – President Donald Trump – The Great Disruptor & Swamp Drainer – waded into another long-simmering issue for conservatives recently when he went after the sweetheart deal Amazon has with the United States Postal Service (USPS). While the post office likes to claim itself an independent entity as opposed to a government agency, that doesn’t tell the full story. The fact is, while it may technically be an independent operation it also enjoys a government-enforced MONOPOLY on first-class mail delivery. And its debt and retirement obligations are guaranteed by U.S. taxpayers. Indeed, as Josh Sandbulte of Greenhaven Associates pointed out in an op-ed published by the Wall Street Journal last summer, “The U.S. Postal Service delivers (Amazon’s packages) well below its own costs,” which provides “an unfair advantage to Amazon” over private delivery competitors such as UPS and FedEx. Well, since USPS is protected from competition in the first-class mail delivery market, the argument is that it uses revenue from its government-imposed monopoly to subsidize its package delivery operations, allowing the post office to undercut its private sector competitors. Which means “Amazon enjoys low rates unavailable to its competitors” thanks to a sweetheart deal with a federal government that continues to pick winners and losers in the market. And that’s what the whole Trump/Amazon brouhaha is all about. It’s one of “The Swamp’s” dirty little secrets that is finally being brought out into the bright light of day. All hail, The Great Disruptor!